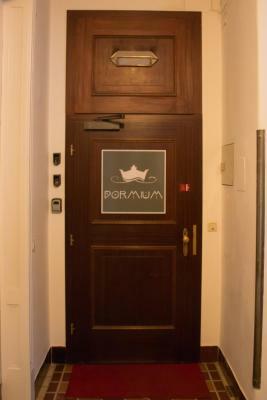 Lock in a great price for Hotel-Pension Dormium – rated 8.4 by recent guests! The most comfortable beds ever! The staff were very friendly. Good value and I highly recommend. Only 2 min walk to the public transport. One station to Westbahnhof Wien (with U6). 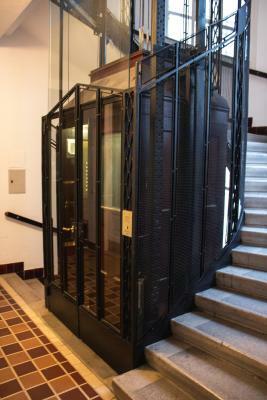 The elevator is very stylish (Hotel is at the second floor)! Nice and helpful staff. The room was very clean and the bed was comfortable. Good WiFi. Professional and friendly staff. Tasty breakfast. The hotel fit our needs. Helpful owner, detailed instructions, good breakfast. Good location, safety. convenient location, comfortable bed, quiet room, very friendly/accommodating owner. Kindly staff. Cleaning space. Very convenient location. Slightly "dusty" charm, like from a past era but a very big and spotless room, perfect location and great service. I reserved very short-term, and they took the initiative to call immediately and enquire about the arrival. A person came in specifically for me to give me my room and explain everything ! The room, so big and with a really confortable bed. Hotel is pretty good connected by tram or metro station. Just 25 minutes walking to the city center. Hotel-Pension Dormium This rating is a reflection of how the property compares to the industry standard when it comes to price, facilities and services available. It's based on a self-evaluation by the property. Use this rating to help choose your stay! 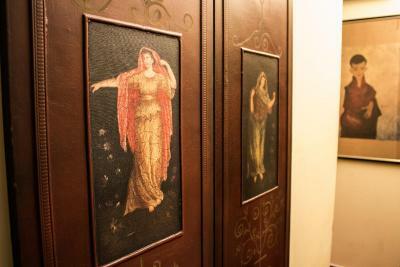 Decorated in Vienna’s local Art Nouveau-style, the Jugendstil, Pension Dormium enjoys a central location in the 7th district of Neubau, 6.2 feet from the Westbahnhof Train Station. Free Wi-Fi access is available throughout the property. All rooms at the Dormium are en-suite and come with a mini-bar and flat-screen TV. 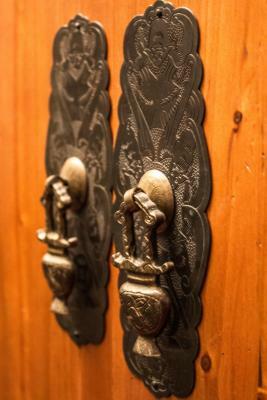 They are decorated in a mix of modern and Jugendstil style. The shopping street Mariahilfer Straße is 1.1 mi away, while the city center can be reached within a 10-minute drive, by car or public transport. When would you like to stay at Hotel-Pension Dormium? House Rules Hotel-Pension Dormium takes special requests – add in the next step! 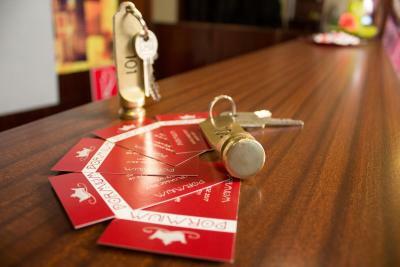 Hotel-Pension Dormium accepts these cards and reserves the right to temporarily hold an amount prior to arrival. Please note that if you expect to arrive outside reception opening hours, please inform Pension Dormium in advance. My room was overlooking the street with trams and the noise was a little bit disturbing. Parking is problematic in the area, parking in the street impractical. Need to anticipate and find a garage somewhere. Great location, great value for money. Mattress was saggy, room and bathroom very dated, shower cabine extremely small. Lots of noise in the morning since the tram is passing directly under the window. CheckIn Times very limited. Temperature of the room. Maybe a bit high, but outside was snowing so not to bad neither. The double bed was not comfortable. The pillows were too flat, had to put blankets, clothes under the pillows in order to sleep. There was only few hours reception. The place was gloomy and old fashioned. The area was run down and disgusting ! The Hotel was not close to the subway station (Burggasse). No breakfast ! I was charged 77.50 Euros which is expensive for a place like this. I think 55 Euros (max) would have been a fair price. There are only public parking spots (or car park) at extra costs available, no breakfast included. Friendly staff and very warm "welcome", tidy and well equipped rooms, the hotel is also very well located and pubs, restaurants, shops are near by, the perfect accommodation for a city trip. Staff was not on place most of the time, even though they responded timely whenever I needed something. Location is also not the best but for this price it is s totally worth it. It was really nice, quiet and comfortable. Very hard to think of something. Maybe it takes some time in the working days to find a parking immediately in front of the apartment building, but you can always make few circles and park nearby. Not a big deal. Beautiful apartments in Schottenfeld (Neubau District) of Vienna, next to the Burggasse Metro station, which connects you with Stephansplatz in 20 minutes top (via Hauptbahnhoff). Elegant building, nice and clean apartments, super helpful and friendly staff! There is a beautiful living room available to everyone where you can bring your food and have a breakfast and have a coffee or tee. Room was spacious, bed were comfortable, heating was perfect in the cold late October night and this is one a very, very good value for money. Wi-Fi works fine, outside public parking is free. Warmly recommended! It was a bit dirty, especially the bathroom and the light was very low.